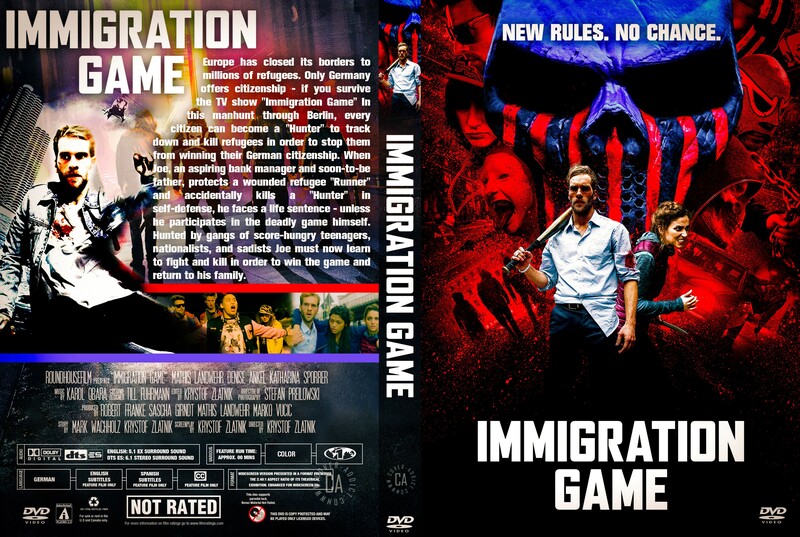 'Immigration Game' is set in an alternate 2016. Germany refuses to receive any more refugees. The only way to obtain a residence permit is to participate in the popular Internet and television show 'Immigration Game'. Whoever participates as a 'Runner' in 'Immigration Game' will be abandoned on the outskirts of Berlin and must make their way to the television tower at Alexanderplatz. For a prize money every German citizen may chase and eventually kill the refugees entirely unpunished.